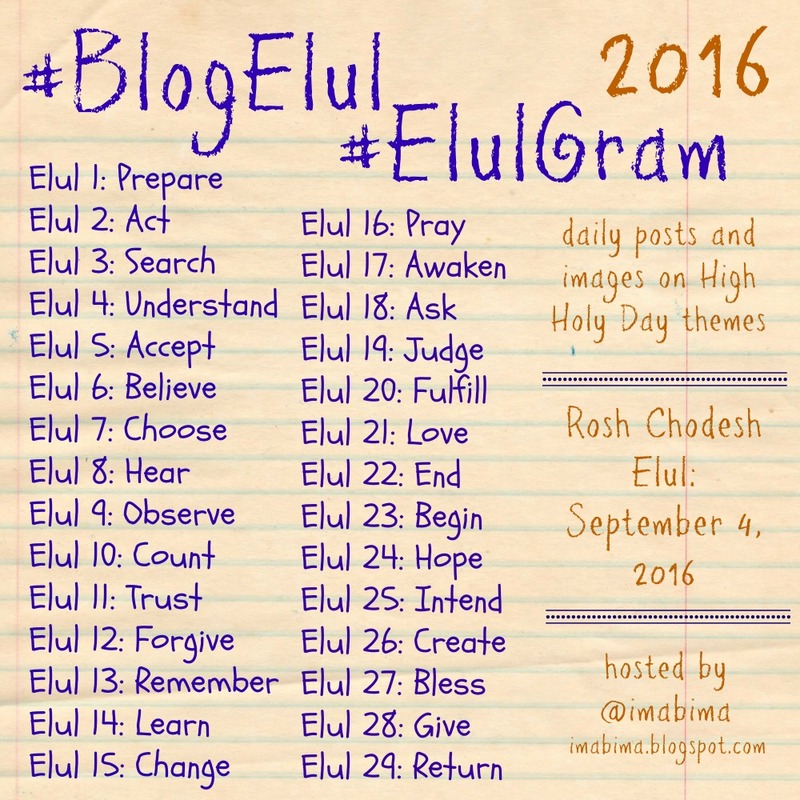 The Jewish month of Elul, which precedes the High Holy Days, is traditionally a time of renewal and reflection. It offers a chance for spiritual preparation for the Days of Awe. It is traditional to begin one’s preparation for the High Holy Days during this month with prayers of forgiveness, but I like to think of it as a whole-person preparation activity. We look to begin the year with a clean slate, starting anew, refreshed. All month, along with others, I'll be blogging a thought or two for each day to help with the month of preparation... 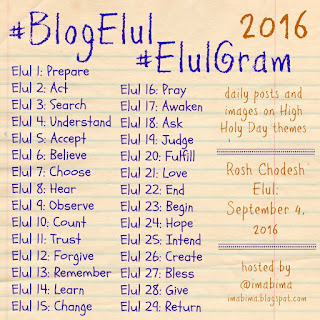 I will be blogging here, and sharing #Elulgram photos on the same themes at imabima.tumblr.com and on Instagram @imabima. Follow me on twitter @imabima for all the #BlogElul posts, not only mine but others' as well! Read more about #BlogElul here.